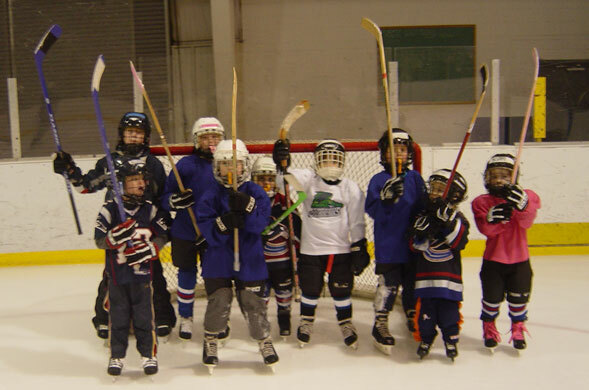 The Brattleboro Hockey Association (BHA) has been in existence for over 30 years with the purpose of developing self-esteem, social skills and character along with skating and related hockey skills of area youth. The BHA also serves as the feeder program for the Brattleboro High School teams, both girls and boys, demonstrating the integral role the BHA has in engaging the area youth in skill development and healthy activity. The BHA is affiliated with the nationwide organization, USA Hockey and subscribes to its youth hockey mission of promoting the growth of hockey in America and to provide the best possible experience for all participants by encouraging, developing, advancing and administering the sport. The BHA provides an organized hockey program primarily for the Brattleboro area; however the program is open to anyone three years of age or older regardless of their place of residence. A child who is under the age of five is evaluated on an individual case for acceptance into the program. The BHA considers the Nelson Withington Skating Facility at Living Memorial Park in Brattleboro, Vermont, its home.